The best results can also depend on having a whole fish, so the bones, head, and tail can be used to make stock. 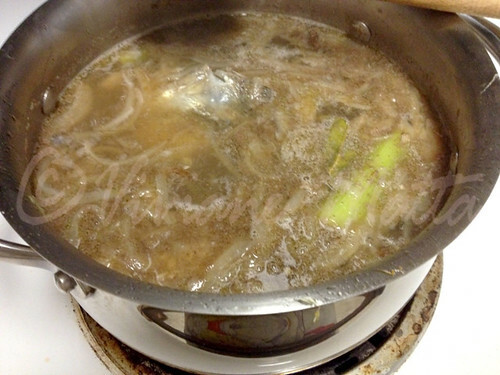 This dish takes relatively a long time to make, even if you don’t make the stock from scratch, since caramelizing the onions is the longest process in the preparation. You can go around that by caramelizing the onions in the oven, but I never tried that myself and I don’t know how things would turn out, but it might be worth a shot. 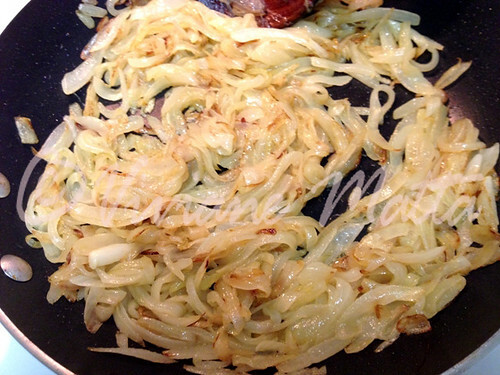 The onion caramelization can be done ahead and then you can go from there, when trying to prepare the rest of the dish. Be careful not to overcook the onions otherwise the sweetness will turn into a pungent and bitter taste. 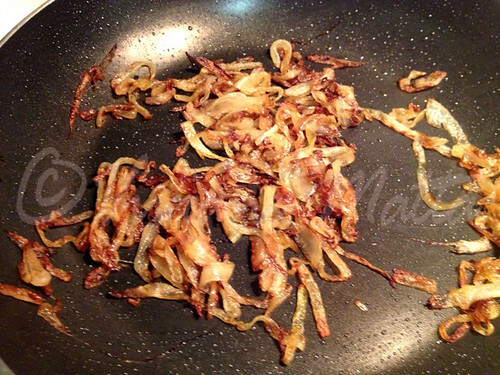 The onions should be watched closely while caramelizing, because they can burn in a second. 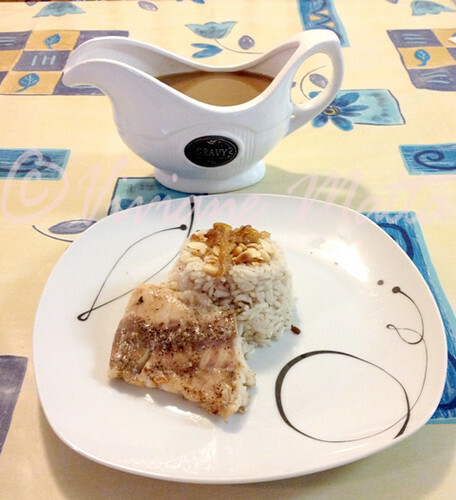 In the end though, this dish is worth it, the way the sauce marries with the fish and infiltrates the rice, is a delicate and balanced set of flavors that will leave your palate in a happy state. Caramelize the onions with the olive oil, on medium heat. Reduce the heat when the onions start to turn golden, and cook till dark brown. Set a small amount aside for the garnish. Add water, spices, bay leaves, potato, carrot, celery, the small onion, the fish head, the fish bones, and the fish tail to the remaining onions and boil till flavors meld together. In the meantime toast the nuts. 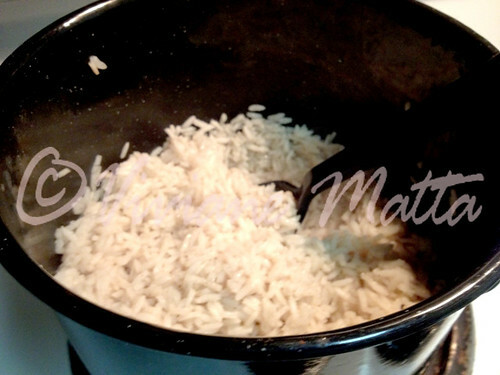 Strain the stock and use half of it to cook the rice. 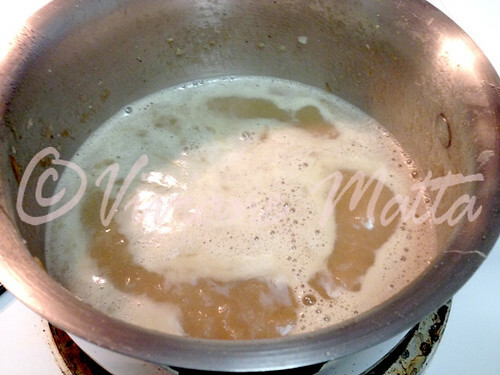 Return the potato and the small onion to the rest of the stock and blend to make the sauce. Bring to a boil. Season the fish and bake it for about 20 min at 325° or pan fry it with 1 Tbsp of olive oil. 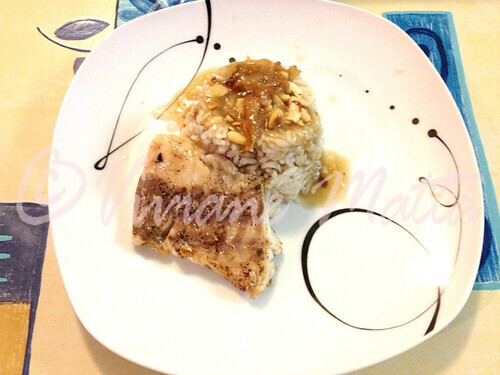 Serve the fish and the rice sprinkled with toasted nuts and some caramelized onions. Drizzle with sauce. 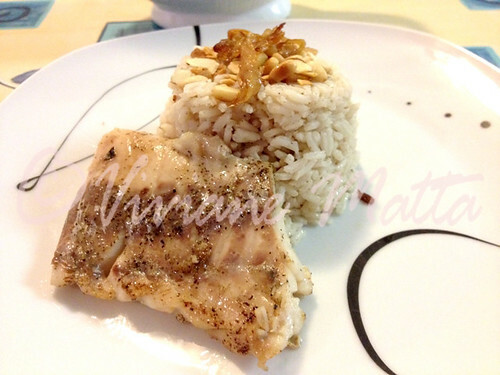 This entry was posted in Cooking, Entrees, Fish and Seafood, Main Dish, Recipes and tagged Fish, Lebanese, Lebanese Food, Rice, Siyadiya, Siyadiyeh, Siyadiyye, Siyyadiyya, Siyyadiyyah, Siyyadiyyeh, Striper. Bookmark the permalink.